Everyday, I look into my closet and figure out how i want to look, sometimes i wake up and put the looks together in my head . Yesterday , I decided to wear a sweater my sister got for me a few weeks ago, I recall her clearly saying “Its cute and you can wear it to work since your studio is always freezing” The weather was playing tricks on me as well, it was really cool so I paired it with one of my favorite jeans by Weekday, I purchased it online via Asos. 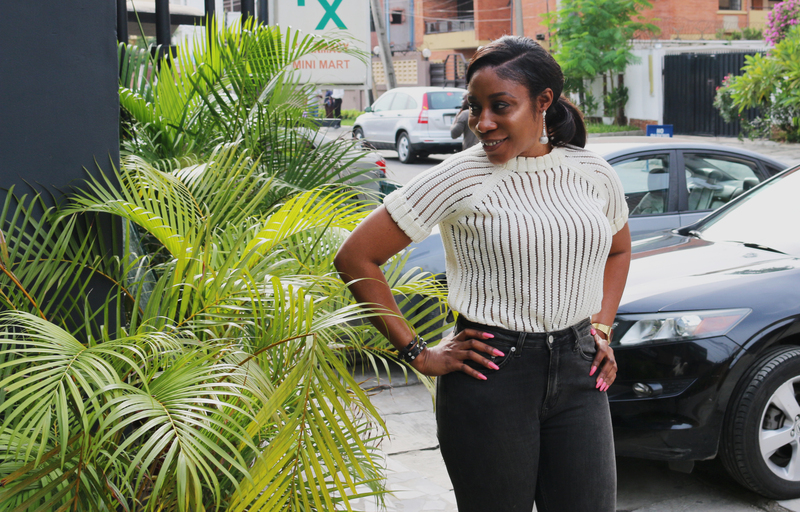 I used to be a huge fan of Mango jeans but its a struggle to get the perfect fit, I think its not tailored for the curvy ladies, same with Weekday, so if you are very curvy (small waist, big hips) you may want to try other brands , but this particular jeans has quite a good fit. I slugged on my Gucci Mules, (my birthday gift ) and boom! I was good to go. I pulled my hair into a ponytail to give it a clean look.